Do you need to eliminate gluten completely? Out of all the man-made ‘foods’ in the world, it seems most individuals’ immune systems respond dramatically to wheat and gluten the most. There are well over 50 autoimmune diseases linked to gluten, why is this? Why is something that is so widely available SO toxic? In the 1970’s wheat was hybridised, it went from a short stumpy crop to a huge tall crop which had the ability to yield a lot more than the natural form. This resulted in the wheat being mass produced creating an extremely financially viable product. Due to the change in wheat production, some people react more than others when they consume it. This depends on the integrity of their gut lining, gut flora, enzyme production and so on. Someone who has a mild reaction to wheat and continues to consume it, may over time become more intolerant to other foods as well as wheat. This is why, when the tiniest amount of wheat or gluten enters the digestive tract, gliadin (a protein found in wheat) leads to the upregulation of zonulin, which opens up the ‘tight junctions’ in our gut lining, leading to increased gut permeability. This happens to 100% of people, despite whether they have a diagnosed gluten intolerance or coeliac disease. In basic terms, the consumption of wheat leads to a ‘leaky gut’. When these tight junctions open, undigested food floats out into our system and immune reactions occur, leading to an array of symptoms including weight gain, headaches, migraines, joint pain, sinus, skin problems, which can then progress further to autoimmune diseases. These immune reactions can last up to three months, depending on the form of your reaction, your gut flora, if you have an autoimmune disease, and so on. You can read more about this here. If you’re looking for ways to make going gluten and wheat free easier you can read more here. When I consult with clients, I commonly see individuals react within 48 to 72 hours after consuming wheat, not always immediately. So, if this is you, I advise that you need to eliminate ‘modern day’ wheat and gluten completely. Inflammation will never quite leave your body if you continue having it once a day, once a week, or even once a month. If you don’t want to eliminate it completely from your diet, the only wheat I would ever recommend is Emmer or Einkorn Wheat. These are the traditional wheat grains that have not been chemically hybridised and actually have stunning nutritional properties and therefore can be consumed without resulting in the detrimental effects like the modern wheat grain. 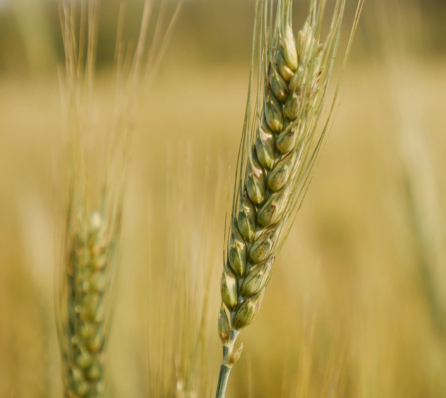 Emmer wheat still contains gliadin and gluten though in much smaller quantities and as it is not hybridised, its structure allows us to digest the proteins efficiently. However, if you have a coeliac disease, it is likely that you will not tolerate Emmer wheat. If you have been gluten free for some time but want to begin using emmer wheat, I suggest making it into a sourdough and consuming it this way for the first time. It will then be pre-digested via the beneficial bacteria, and will result in an even easier to digest form of emmer wheat. To learn more, you can watch the film which is full of detailed education from 15 industry experts. The research of Dr. Don Huber, Dr. Stephanie Seneff and Anthony Samsel provide the key to unlocking the toxic food puzzle. When one begins to seriously investigate the insidious GMO/Glyphosate paradigm, one disturbing aspect begins to come into focus; Is it by error or the realization of a global corporate/political agenda? May I suggest you look very closely before answering. Thank you all for your heroic efforts! Did you mean “it went from a short crop to a tall…” or from a tall to a short? Yes I did, thank you for pointing that out, I will have that changed immediately hehe! Great stuff, BUT, its really hard to read this page….the semi transluscent background conflicts with the white type or something. Maybe a simple redesign of your blog could fix it. Hi there, a blog will be coming out soon that includes my thoughts on spelt. However typically if it is well fermented into a sourdough it may agree with people, though still many people disagree with it and agree better with einkorn or emmer wheat. Being ignorant about food in general…Can you tell me if oats for porridge are the same or similar to wheat in the U.K.
Hi Philip, I am unsure about the comparison between oats in the UK and Australia, however I do know that in Aus our oats are contaminated with wheat and therefore I avoid them. You would need to look into the source you are purchasing them from :). I hope this helps, enjoy! Thank you so much for the information. I was just so confused because now I am being told that gluten intolerant people cannot have any grains period. No questions asked. I don’t eat meat, but I had thought about Einkorn and Emmer, however I was still discouraged from ever using rice and all other grains. I don’t have Celiac, I’m just gluten sensitive.